AUSTIN, TX—Reportedly believing himself to be “too good” for such pedestrian fare, sources confirmed Monday that local cat Benson, a creature that craps in a box, considers the consumption of dry food to be beneath him. 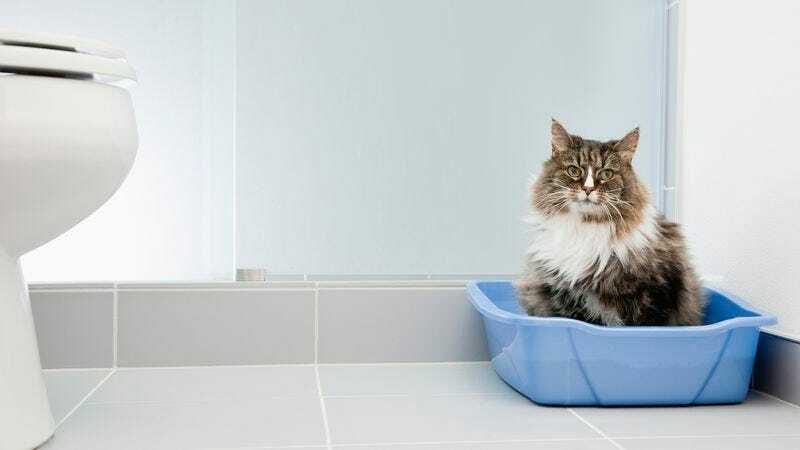 According to accounts, the feline, who reportedly climbs into a 18-by-20-inch box in the corner of a room and defecates into a pile of sandy granules twice a day, would rather forego a meal entirely than deign to eat food that does not contain a level of moisture that he deems suitable. Reports indicated that if the dainty little fusspot doesn’t get the wet food he craves, he will whine and protest like a prima donna for minutes on end beside his dinner bowl, which happens to be situated just feet away from the unenclosed plastic box where he regularly empties his bowels. At press time, sources confirmed that His Majesty was lying across a $45 heated cat bed and licking his own groin.